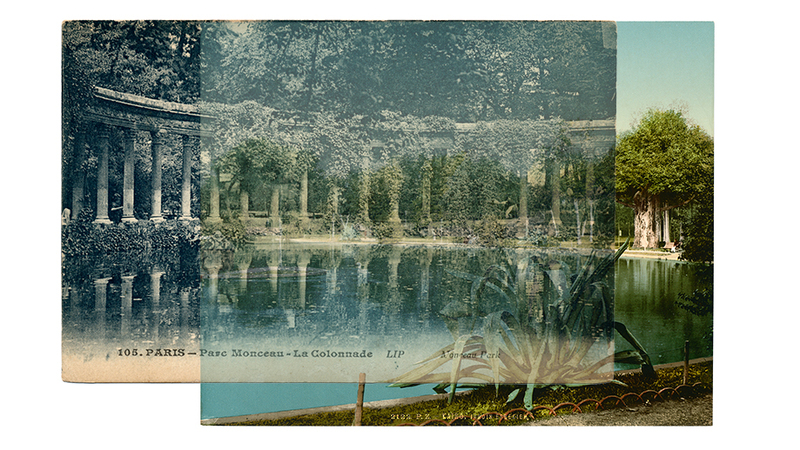 Park Study Paris - Cairo presents a visual archive consisting of material from my research for my former project Notes on the Most Beautiful. 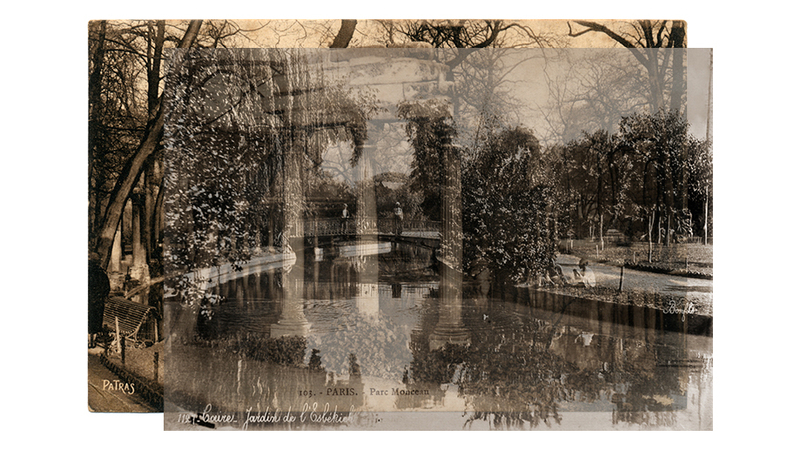 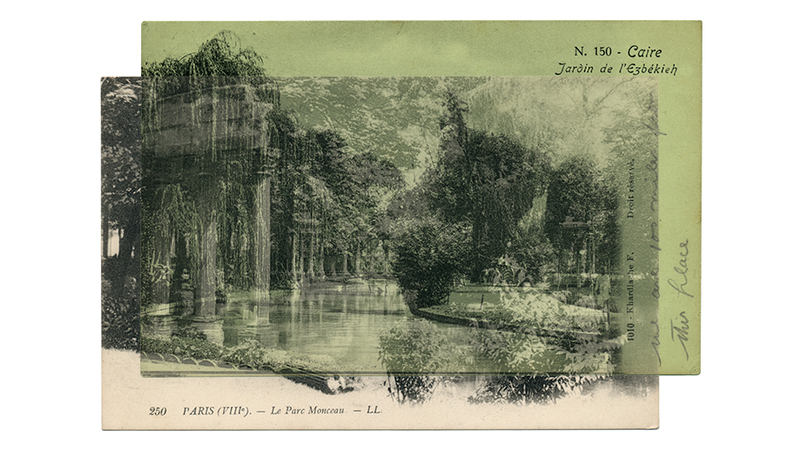 The collages show found images from two parks - in Paris and Cairo. 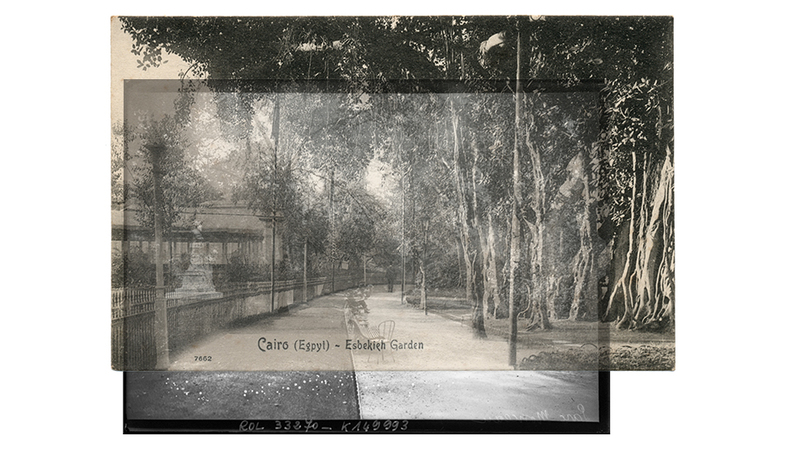 The park in Cairo is a copy of the park in Paris. 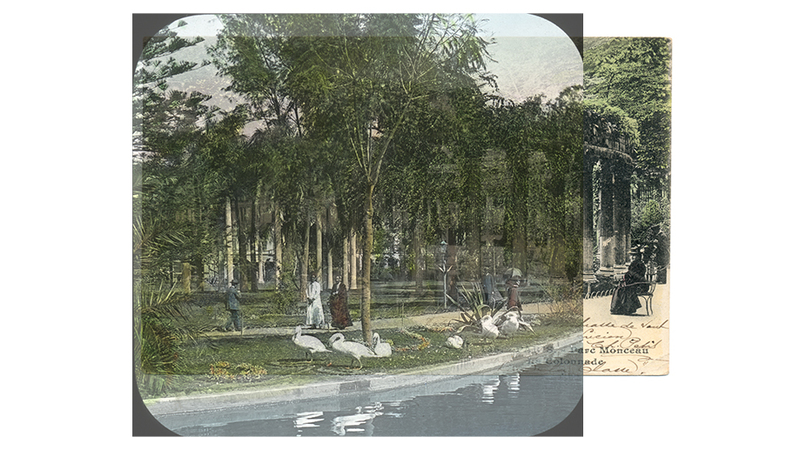 An imaginary photo album describes my walk and search for the remains of the park in Cairo today.